Miami, Florida based designer, Delilah Castro was born in Cincinnati, Ohio in 1982. She credits her mother with exposing her to the wonderful world of garment construction as a child. While attending Florida A & M University’s School of Business and Industry in 2004, it was on a P.R. and sales internship for Betsey Johnson, in her New York Showroom, where Delilah discovered her passion for design. 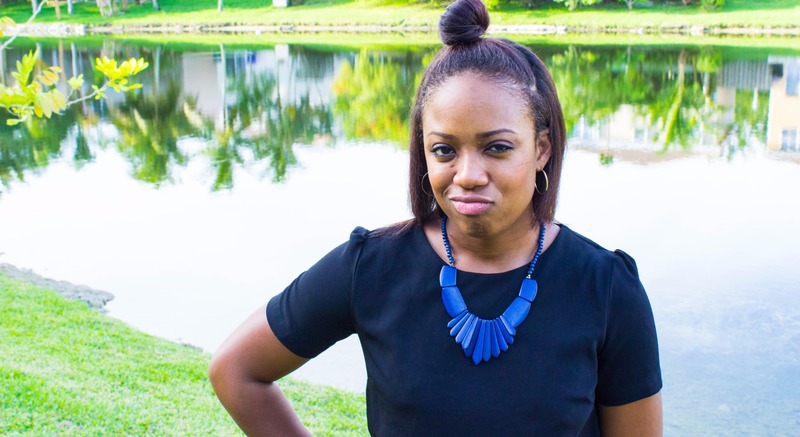 Upon graduation, she moved to Miami and worked as a buyer for Macy’s. In 2009, she made the shift to become a designer and launched her website. After a 3 year hiatus she has relaunched Delilah Johnson and is positioning the brand as a label to watch. The clothes, which have a classic influence with an edgy twist, are making everyone that sees them take notice. Delilah’s motto is, “create your own lane and drive as you please.” The goal of this fashion house is to show women and men alike that if you blend a classic silhouette with an extra kick of personality, heads will turn. Each stitch, sketch, and silhouette formed under this house is designed by Delilah and serves one purpose; to create beautiful, original garments that will make women shine. Every woman deserves to feel like a show stopper, and the good news is that she’s only a dress away.